What identifies our initiative is that together with creating space for duo and collective art exhibitions; we also organize dinners, talks, screenings and lectures that make space for conversation and new interactions. 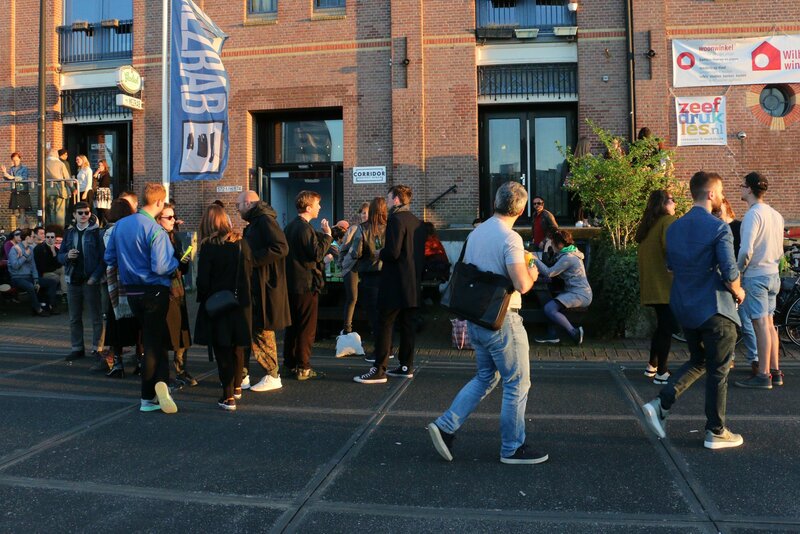 The social aspect of our events make it possible for an international working platform where artists, writers and mediators from Dutch arts and international hubs get to know each other. Inclusivity is one of our main focusing points. We do so by including in our collaborations art professionals from all nations, genders, abilities and career stages. Not only do we include a variety of collaborators, but we also convey an openness where artists and curators may propose to make use of the space by their own initiation.Our team itself is composed internationally and we have special connection with artists based in Turkey. This inclusivity goes beyond the artists and professionals we work with, and applies also to the audience and visitors we want to attract. In our public communications, we convey a receptive language. We intentionally seek a variety of artistic perspectives and critical approaches. We create an annual program and draw curatorial directions while leaving the development of each exhibition experimental and flexible. During the making of each project we create a smooth dialogue between the collaborators and support them as much as we can practically, intellectually, economically and emotionally. Corridor Project Space has gained the support of Gemeente Amsterdam Stadsdeel Oost in 2019.